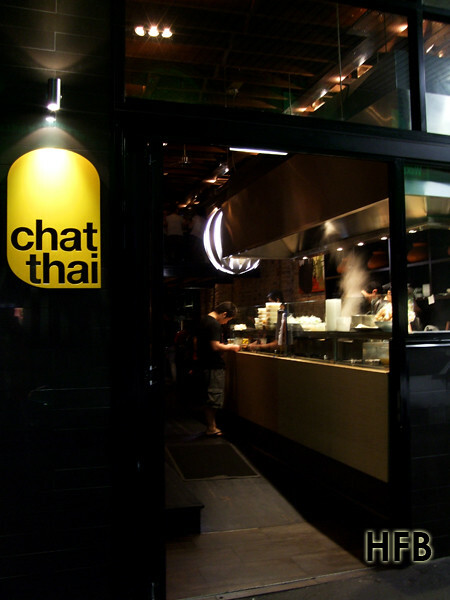 “Chat Thai”, which simply means “Thai Nation”, is also a pun on the English meaning “to converse in an informal manner” – which is what Chat Thai is all about – casual, relaxed dining with authentic Thai food. It really helped that HFB was staying in the heart of Sydney’s city centre, and a mere 10 minutes walk was all he needed to satisfy his supper cravings at their Campbell Street, Haymarket outlet. Question: How does one spot a restaurant that dishes out authentic cuisine? Answer: By spotting the number of locals (and by that he meant the sheer number of Thais, NOT the Aussies) dining there. 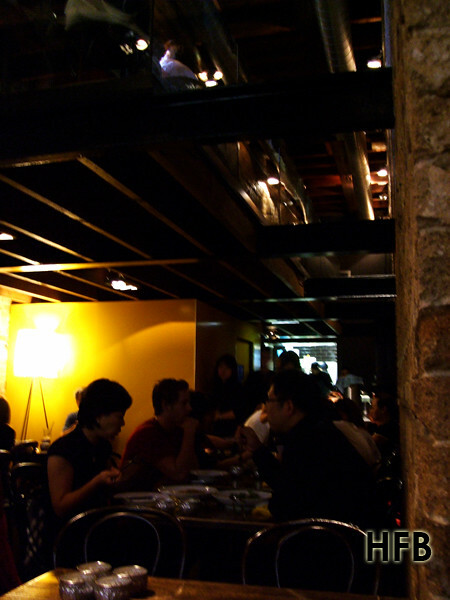 At Chat Thai, supper starts at 9.30pm – and by that, it meant that prices for similar food items offered by the dinner menu will be found much cheaper in the condensed supper menu. How fabulous is that?!? 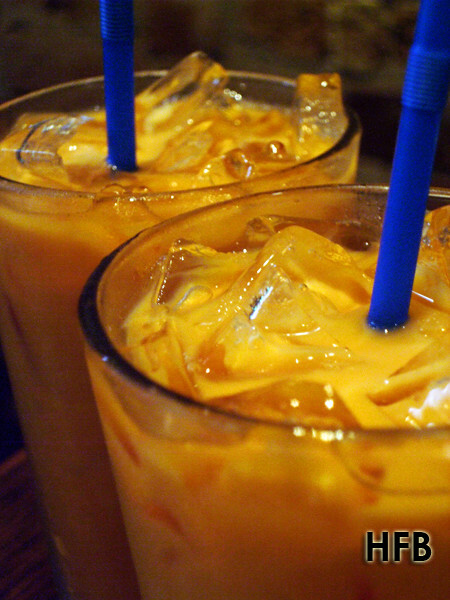 What’s a Thai meal without Thai Red Iced Tea, or Cha Nohm? Although a tad steep at AUD$3.50 per glass, HFB was pretty confident that it was probably as good as one can get in Australia. It was sweet and the tea aftertaste packed a punch like how a good glass of Thai iced tea should be. 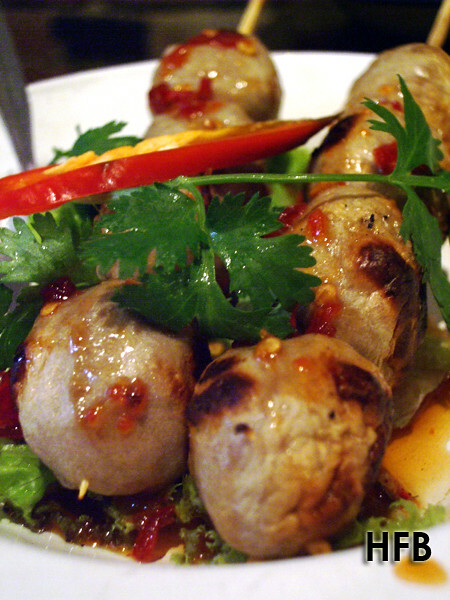 Loug Chin Ping, or simply Grilled Skewered Beef Balls, was just some Thai snack to nibble while waiting for the rest of the items to arrive. It was nothing special except that it goes well with the Nahm Jim, a sweet chilli and sour plum sauce. Another snack was the Mu Bhing, or the Skewered Char Grilled Lean Pork. Marinated in Galangal, Lemongrass and Garlic. HFB liked the fact that the dish is engaging – with the harmony of spices interacting with one’s palate. 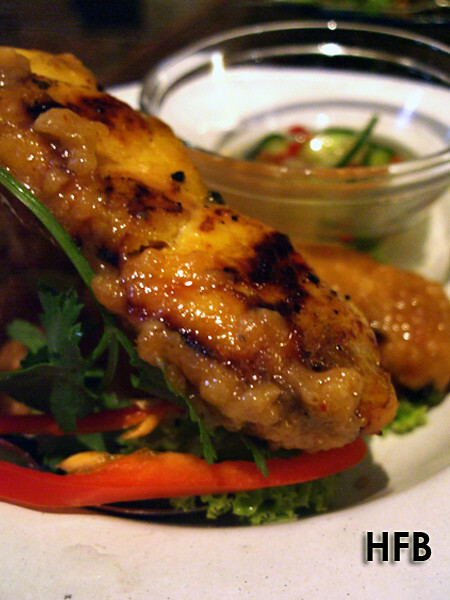 The Gai Satay, or Skewered Char Grilled Chicken Fillets, marinated in Garlic, Turmeric and Coriander Roots is liken to our local satay – accompanied with it’s very own Peanut Sauce and Salsa of Pickled Cucumber and Red Onions. 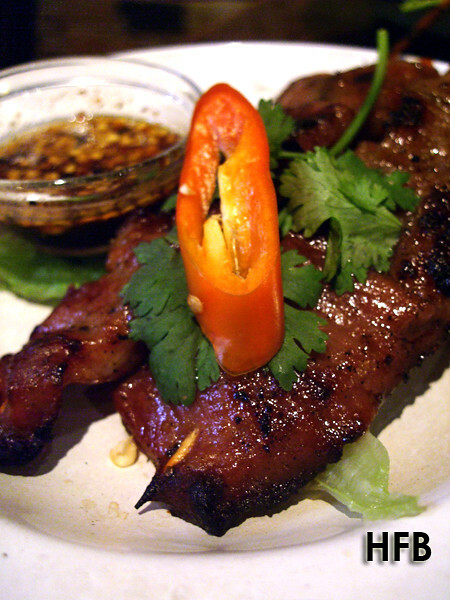 Nicely char-grilled and well marinated, it was an ideal comfort food for supper. While each of the above 3 snacks cost AUD$2.00 per skewer, having it during dinner time would set one back 20 percent more at AUD$2.50 each! 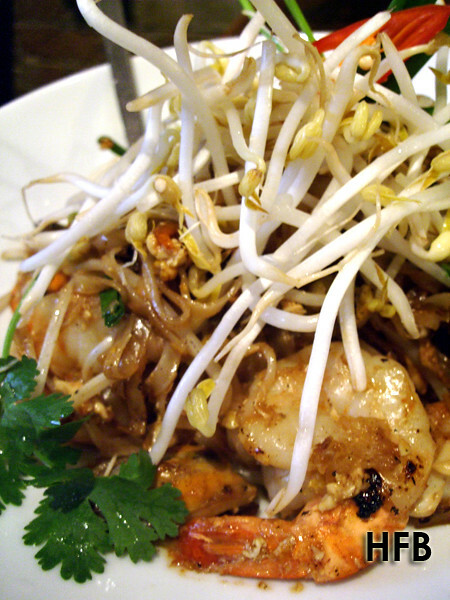 A nice way to roundup the supper would be to polish off a generous hot plate of Seafood Pad Thai (AUD$13.90). Nicely fried Thin Rice Noodles topped with Dried Shrimps, Ground Peanuts, Eggs, Chives and Bean Sprouts, the unison of ingredients has all of what a good dish should be – colour, texture, flavour and taste. HFB also really like the fact that the shrimps heighten the dish with an additional oomph with its salty flavour and crunchy texture (btw, this dish cost an extra AUD$3.00 during dinner time)! 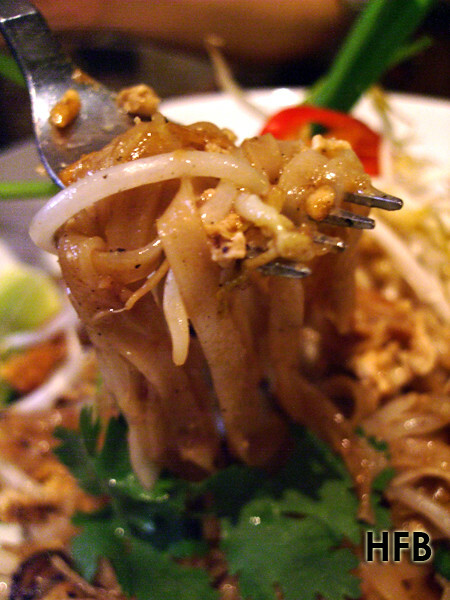 HFB really enjoyed Chat Thai’s good, honest, simple fare that he actually made a returned visit within the same week. Great photos again HFB. And the Pad Thai looked great... a true definer of a good Thai restaurant as it's so easy to stuff that dish up (that is, by it being too oily). hmmm. extra charges during dinner time don't make diners feel good (at least I won't!). I love this place! Food's really good and prices are reasonable. The only off putting thing is that the queues are always too long! Hey sooks, similar thoughts, except that supper queues are not as bad as dinnertime.